Like Link in this stunning artwork, The Legend of Zelda series climbed to new heights with The Legend of Zelda: Breath of the Wild, SuperPhillip Central's Featured Game of the Month. Because SuperPhillip Central's April Fools shenanigans from the weekend, we're just now getting to the Review Round-Up, your monthly look at the reviews written and published to the site over the past month. March saw six individual reviews for lots of games and systems, including the all-new Nintendo Switch! The beginning of the month saw the origin of the land of Ys-- Ys Origin, to be exact. Its enjoyable action-RPG combat and platforming got a well deserved B grade. Following that was a fun, colorful, but deviously difficult 360 degree shoot-em-up, Blue Rider, which earned a C+. FAST RMX was SuperPhillip Central's first Nintendo Switch review, blazing onto the system for a B+! Then, Bomberman came back from hibernation for an imperfect but still enjoyable game with Super Bomberman R, getting a satisfactory C grade. 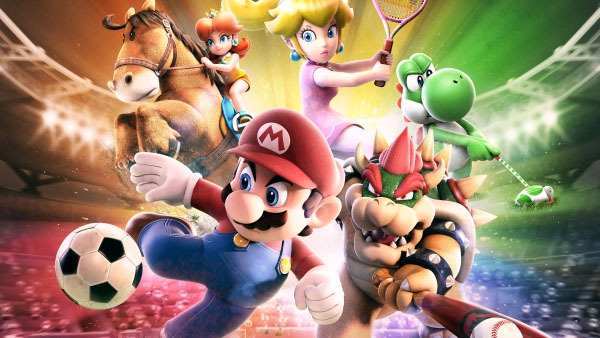 Mario Sports Superstars split its focus to five sports, and while it was a jack of all sports, it was master of none, earning the overall package a still enjoyable C+. 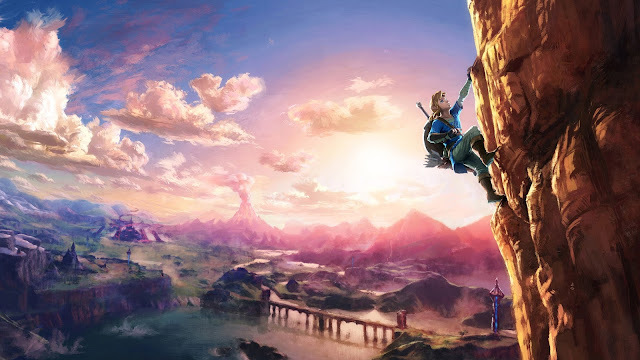 Finally, SuperPhillip Central's Game of the Month and the Nintendo Switch's killer app, The Legend of Zelda: Breath of the Wild dazzled this reviewer much like it dazzled most of the gaming world. I gave the game a superb A grade. Stay tuned for April's batch of reviews, including one big game that I'm covering almost a year after its release, long after the hype. I hope it holds up! diamond, court, course, and racetrack in Mario Sports Superstars.